Marvel is officially coming to Disneyland. 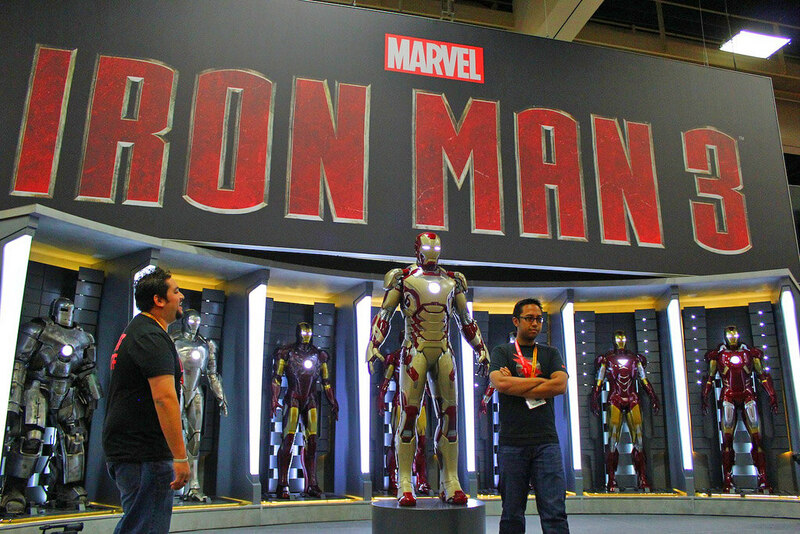 Today Disney announced an exhibit called “Iron Man Tech Presented by Stark Industries” will open in Disneyland’s Innoventions on April 13 promoting the upcoming release of “Iron Man 3.” Inside set pieces from the film will be accompanied by interactive displays. Disney and Marvel previously displayed an “Iron Man 3” Hall of Armor at the 2012 San Diego Comic-Con. It’s likely the Innoventions display will be similar, if not the same one, with added interactive features. Rumors have circulated amongst fans since Disney’s 2009 acquisition of Marvel, wondering when and how super heroes would make their way into a theme park. Many have suggested that Disneyland’s less-than-popular Innvoventions should be entirely made over into a Stark Expo theme, from “Iron Man 2,” which had its roots in Disney’s own history dating back to the 1964-65 World’s Fair. Obvious comparisons were made between Tony Stark’s father Howard, featured in the film’s retro film reels, looking strikingly like Walt Disney himself. Moreover, the famed songwriting Sherman Brothers even penned a tune for “Iron Man 2” called “Make Way For Tomorrow Today,” a follow-up of sorts to their Carousel of Progress attraction theme, “There’s a Great Big Beautiful Tomorrow.” And it is the Carousel of Progress that Innoventions ultimately replaced at Disneyland, making it a perfect fit for an “Iron Man” themed attraction. But those rumors are just that for now. “Iron Man Tech Presented by Stark Industries” is not completely taking over Innoventions, instead only coming to Disneyland as a single exhibit, but one that could be the stepping stone toward bigger Marvel attractions. Meanwhile in Florida, Walt Disney World recently debuted an “Iron Man 3” monorail wrap, promoting the upcoming film. The “Iron Man Tech” exhibit will be in Disneyland park through September. 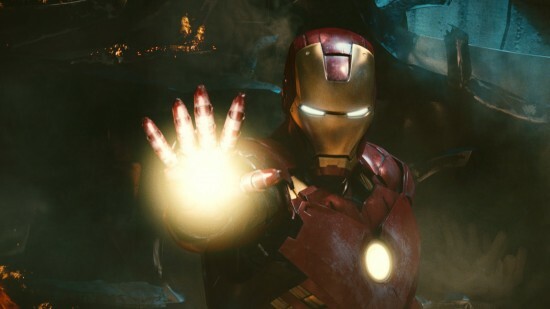 “Iron Man 3” opens in theaters May 3. Any word on an end date? I really hope it will still be there in September! At last! A reason to visit Innoventions! As Epcot’s Innoventions still feels like it should be about -real- upcoming technology, and not just fantasy movie re-creation. Kind of sad, a monorail sticker and some costumes and that is what gets Disney fans excited. This is an amazing franchise that needs a e-ticket ride riveling Universal Studios Spiderman! This exhibit could very well be Disney’s way of testing the waters for the rumored Iron Man ride to replace Disneyland’s Innoventions. I had never even heard of Iron Man until the first movie came out. I liked the movie, but it wasn’t the best thing ever. Then they made the second movie and I can’t even remember what happened in it. They have another Iron Man movie coming out again and it looks like, yet again, that some bad guy wants to get his hands on the Iron Man suit. That’s what every movie is about. One movie of that was enough. So, I don’t know how excited I would be for an Iron Man attraction at Disneyland. I think it would be loud and dark with strobe lights and they’d probably have the car guests ride in shake around or whatever. But I don’t know of too many people who have an emotional connection with Iron Man or Tony Shark or whoever. Well, the race for the suits is inspired by the idea of a modern-day arms race. Personally, I love the movies (and the rest of the MCU. While I don’t think there should be an IM ride, I do think that Innoventions should be entirely converted to the Stark Expo. Many people have been very curious as to how Marvel would/should/could fit into the parks. Disney really deals with themes, and so there is not a lot of places to put them in existing locations. They almost need their own park (which I hear they’re doing in Dubai). Iron Man is arguably the most popular Marvel hero (in part due to RDjr. ), short of Spiderman. This is a very safe move, and it does relate to the area it is being placed. Right! I’m kinda sick of all the Pixar stuff being thrown into WDW’s tomorrowland. The MCU, though, seems to take place in the recent future (my guess is 15 years or so), which I think makes it a wonderful fit. This can then effortlessly turn out an erroneous code seems on your dashboard. The software is made extremely consumer welcoming. to do this, and that’s why we’re going to see over the next 10 years. Freelancers who are lucky enough to have a study course that you can attend on a five day a cheap insurance health week basis. the health insurance risk of the population.